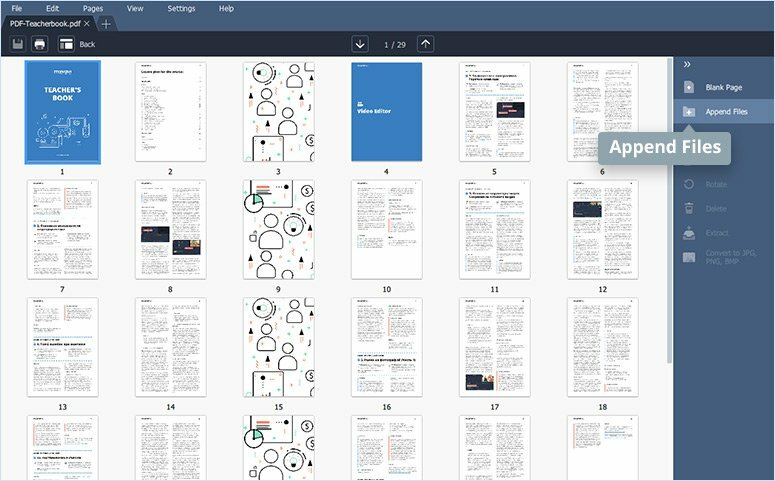 Edit your PDFs without requiring an Internet connection! 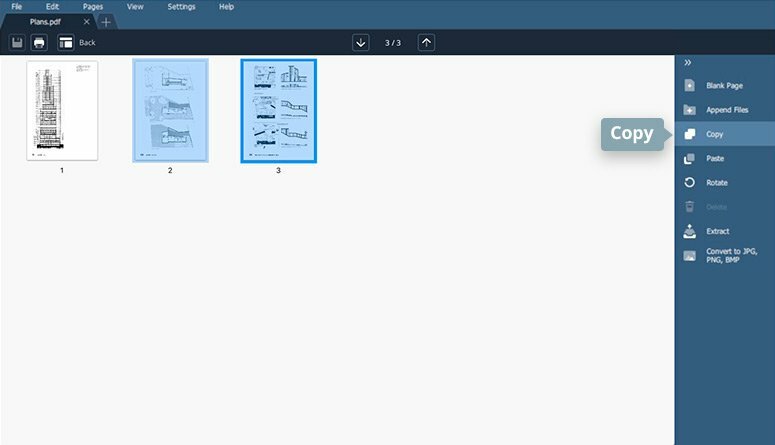 Movavi PDF Editor lets you view and modify existing PDF files, along with converting all your documents into image files. Sometimes we need to add a page to a PDF file – for instance, you may have to insert an image or table in a report, add a blank page to a PDF document for a registration or application form, or add a cover page to an existing PDF. Of course, you’d also like these files to be processed quickly and accurately. If you are new to editing PDF files, it can be difficult to figure out which PDF-editing software is right for you. For managing PDF files, there are many software tools available, but they can be pretty pricey for what you get. 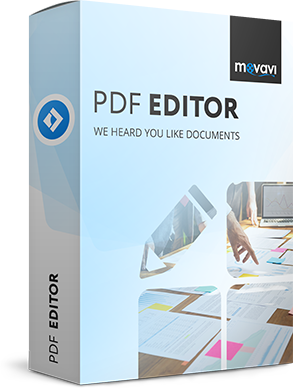 Movavi PDF Editor offers you an affordable and convenient way to add pages to a PDF. You can also use the software to merge multiple PDF documents into a single file, split one PDF document into two, rotate and extract one or more specified pages. Our PDF Editor also gives you the option to extract PDFs as JPG, PNG, or BMP files, depending on the desired output format. With this program, you can easily create, edit, and manipulate any PDF document. 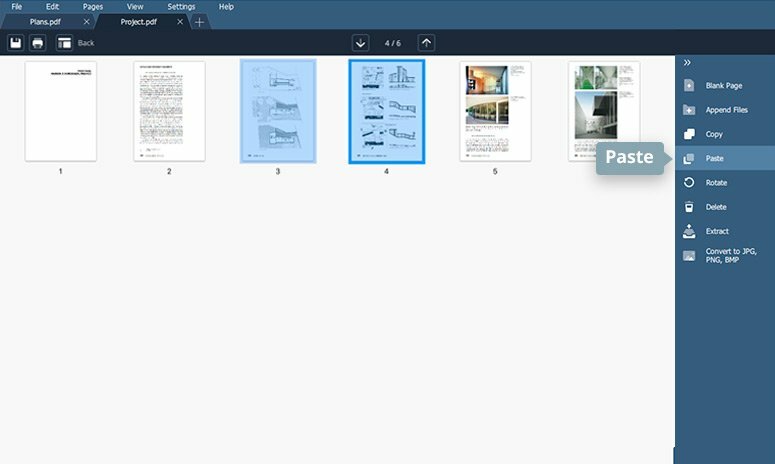 Keep reading to learn how to add individual pages or whole files to an existing PDF. Launch the program and click the Open File button to add the file you need to edit. Alternatively, you can drag and drop it into the workspace. Then, click the New tab icon and add the file from which you want to import the pages. Specify the page or pages you want to process. If you need to add only one page, just double-click the required page. To select a range of pages, use keyboard shortcuts. If you want to select multiple pages, hold down the Shift key (the Cmd key for Mac) while clicking on the first and the last page. If the pages aren’t consecutive, hold down the Ctrl key and select the required pages one by one. Use the Copy and Paste commands to add individual pages from one PDF file to another. Alternatively, use the standard keyboard shortcuts, Ctrl+C and Ctrl+V. To save the edited file as a new document on your computer, click File on the menu bar and select Save As. If you need to save the edits back into the source file, click File on the menu bar and select the Save option. 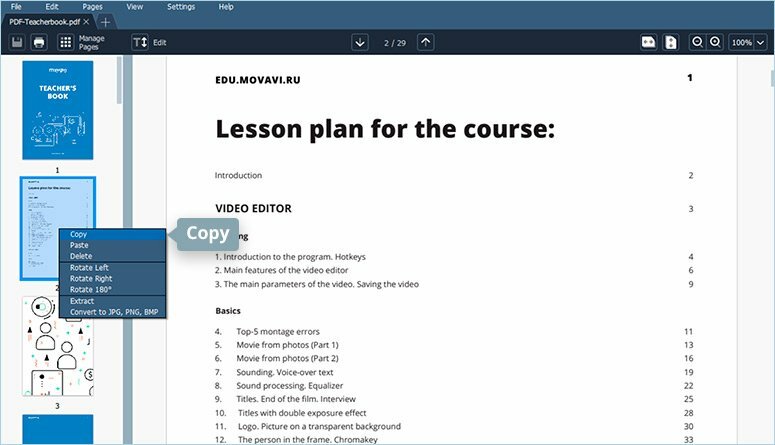 Download, install, and open Movavi PDF Editor on your computer. Click the Open File button to add the file you need to edit. Alternatively, you can just use the drag-and-drop function. Then, open a new tab and add the file from which you want to import the pages. Go to the Manage Pages mode and specify the pages you want to insert. To select a consecutive group of pages, click the first and last pages while holding down the Shift key. Use the Ctrl and arrow keys to select multiple non-consecutive pages. Click Copy to copy the selected pages, then click Paste to add these pages to the target file. Alternatively, press Ctrl+C to copy the pages and Ctrl+V to paste them. Save the file using the Save or Save As commands from the menu bar. 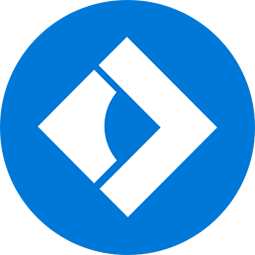 To start working with the PDF Editor, download and install the application. Then, launch it and click the Open File button to add the file you need to edit. Alternatively, you can drag and drop it into the workspace. To insert one PDF document into another, go to the Manage Pages mode and click Append Files in the right-hand menu. In the dialog box, specify the file you need to add and click Open. Use the Save or Save As commands from the menu bar to save your file. Download and install the software from the current website. Launch the program on your computer. 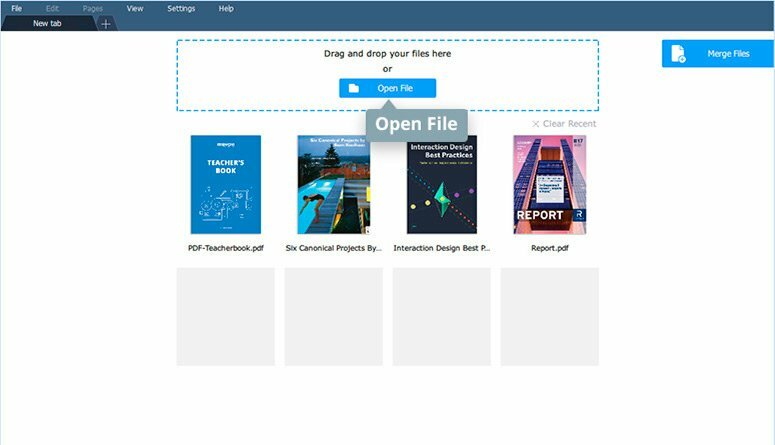 Select the file you want to process via the Open File button or just drag and drop the required file into the workspace. 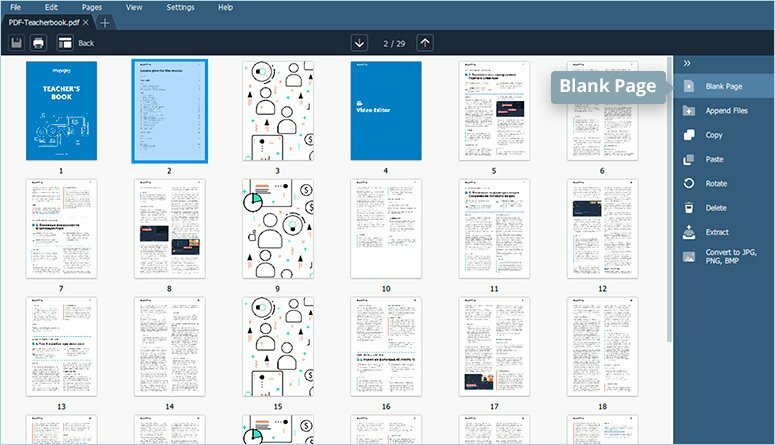 To insert a blank page into your PDF document, go to the page management mode and click Blank Page in the right-hand menu. The blank page will be inserted directly after the page you’ve selected with the cursor. To save the new PDF file, click File on the menu bar and select Save As. On completion of the form insertion, the newly created file can still be edited, so you can make any additional changes like rotating, moving, or deleting individual pages.